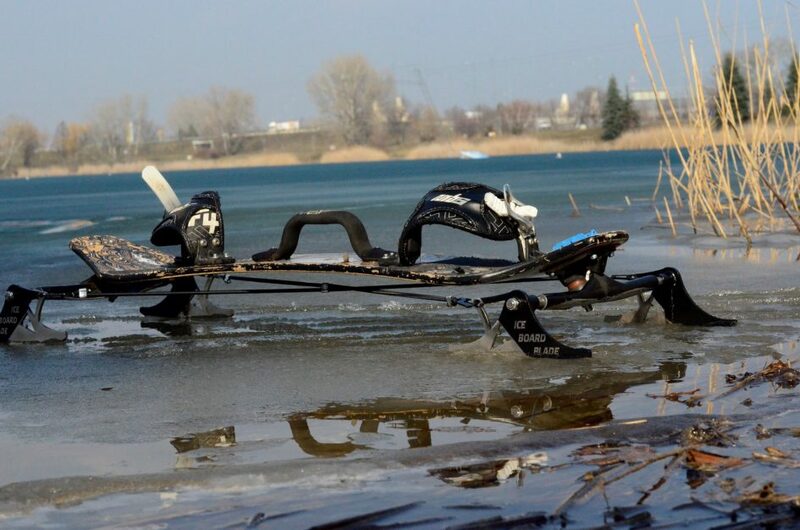 Here in Hungary solid ice is not a common thing, so I don’t often ride on ice. Something like 6-8 sessions all my life (with skis or ice skates). Actually Trawe wanted to send the Ice Board Blade to Kevin Langeree, so he can test it out in his vlog, but the ice melted there, so finally it was me who tested them. The ice was already melting a bit and there were 2-3 cm snow layer on it. The wind was very light. We thought it was the last possible day to enter the ice, so I decided to go for it, test it, don’t wait until next year. I could ride in the shoes I arrived to the spot, we just applied this utility to be able to stand on the ice without slipping. It is mandatory, because in stronger winds the kite would pull you down with the wind when you are not standing on the board. I loved the free feeling, how I could stand in and out from the board. For me the strap was a very weird feeling. I didn’t feel the same grip as with my kiteboard. The good thing was that I could jump out from it easily. I guess that it is very normal feeling for someone who is already got used to landboarding. 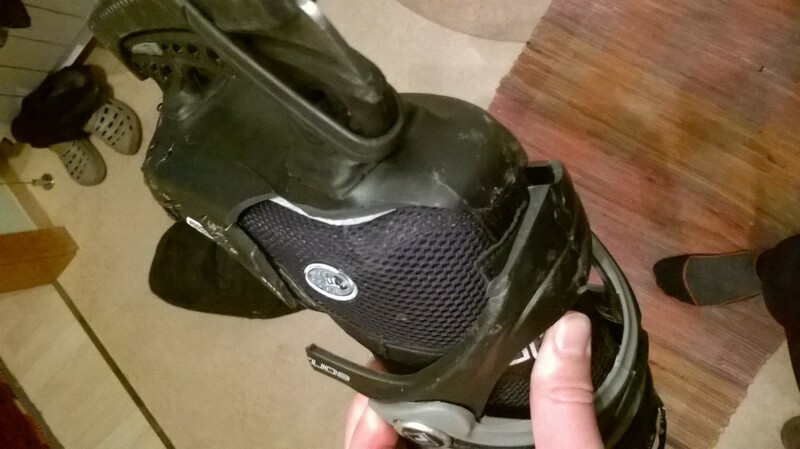 The blades work the same as an iceskate. They have a very good grip on the ice. Since there were snow on the ice I couldn’t make power brakes, but I saw Trawe’s videos that it is possible to slide the blades. The board I used was designed for maximum 80 kg riders. I am 95+ kgs, but it was very handy. I would have problems if the wind was stronger, then I could reach a higher speed. I guess for Trawe it was not a problem, since he reached 71 km/h with this board. 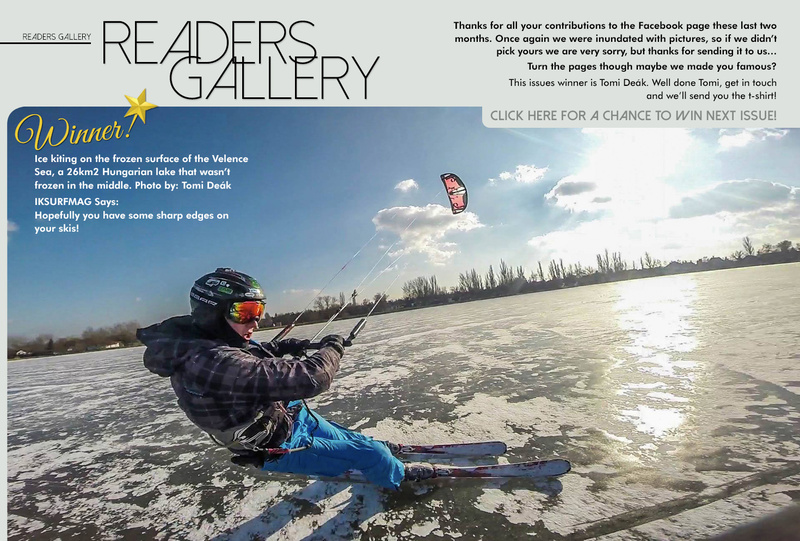 The kiters with iceskates were faster. Later I used a bigger soft kite because of the weak wind so I could jump some. I could go upwind very well, you can edge hard before jumping. Easier for beginners, because you can stop any time. With iceskates, it will be slippery all the time. Better for someone who is not good with ice skates. A must have for landboard fans. It is quite the same. More freestyle opportunities. 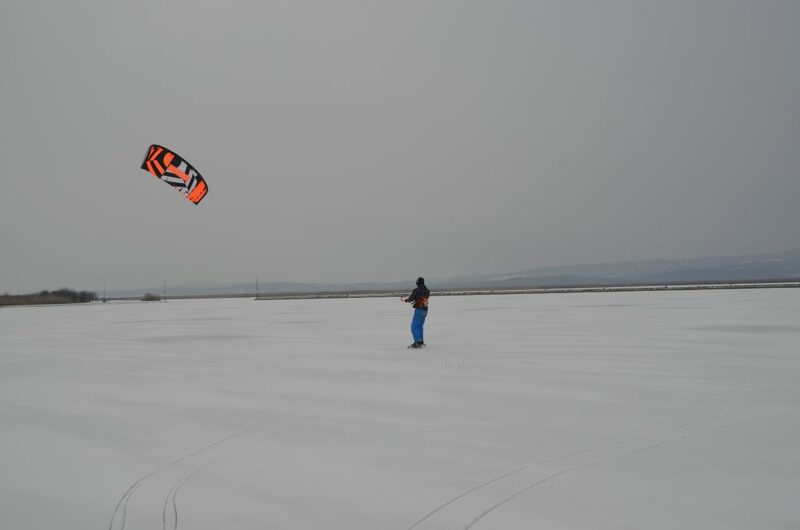 I enjoy freeriding with iceskates, I can jump high with them, but with this board, right after I got used to it, I was able to make the same kind of jumps as with my kiteboard. I don’t want to talk more about the ice board blades. Check out the video we created on that day. Balala and Korell are also featuring in it. I hope you will like it, and you will give it a try. It is really cheap. Talk to Trawe (links below) he may offer you some promotion as well as you can be the first customers.